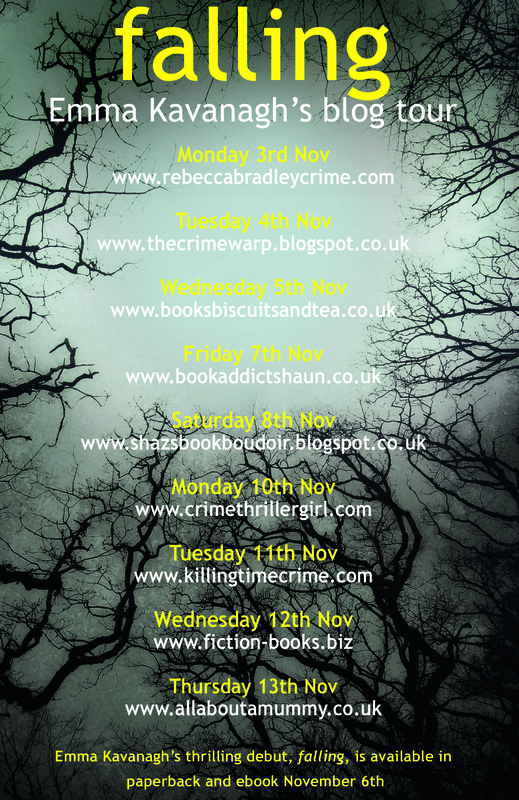 Today I’m delighted to welcome Emma Kavanagh to the CTG blog as a stop on the blog tour for her fabulous debut novel FALLING. Welcome Emma. Your debut novel – Falling – is out this month. Can you tell us a bit about it? 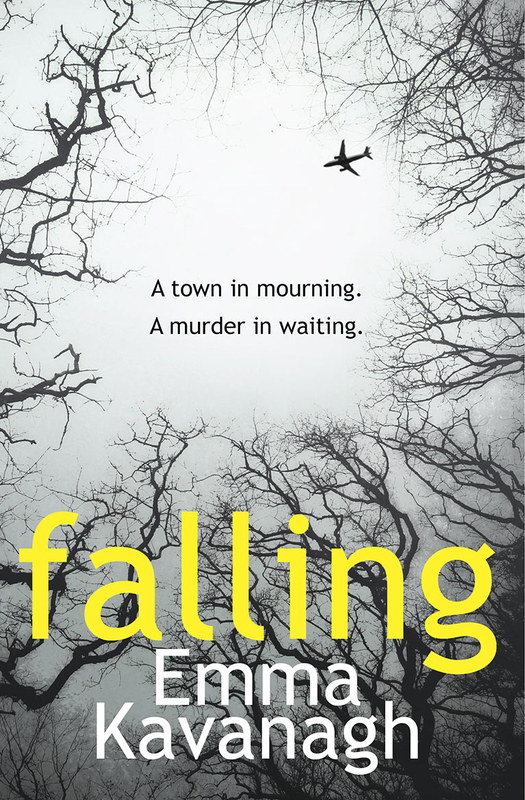 Falling is the story of a plane crash and a murder – two events that bring together the lives of four characters as they try to deal with the aftermath. Have you always wanted to be a writer, and what was it that attracted you to crime fiction? I announced to my parents that I wanted to be a writer when I was 5! So yes! I have very eclectic reading tastes and there are so many genres that I love, but crime fiction seemed to come naturally to me. I think mainly because of my background in police psychology. I like exploring the way in which people can be pushed into terrible deeds. Could you tell us a little about your route to publication? It wasn’t a simple process, but then I’m not sure that it ever is. I managed to complete a full novel length story, congratulated myself on that, then realised it was pretty dreadful. My second attempt was good enough to land me my agent, but still didn’t get me that coveted publishing deal. So, I rolled up my sleeves and started again, hoping desperately that this next one would allow me to begin my career. That book was Falling. How would you describe your writing process, do you dive right in, or plan the story out first? I’m a planner. In fact, I’m such a planner that I think I have a bit of a problem. I even use spreadsheets. Things do tend to move about as the story progresses, but at least using the spreadsheets allows me to keep track of everything. Who are your favourite crime writers – which books and authors have inspired you? Never give up. Getting published is not easy. It takes an incredible amount of perseverance. 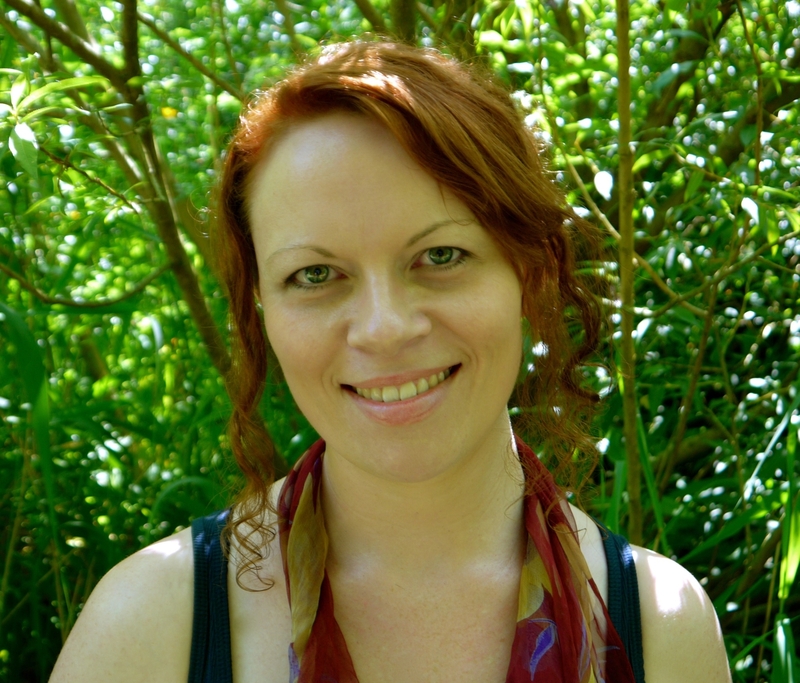 But it is a myth that you have to know someone to get an agent or get a publishing deal. I knew absolutely no-one. If you need to write, then write. And keep writing until you reach your goal. 2014 has been an incredibly busy year for me, with the release of Falling and the birth of my second son 8 weeks ago. I finished book 2 – Hidden – a couple of months ago, so my goal for the rest of this year is to enjoy spending time with my baby and his older brother before getting started on book 3 in the new year. Fantastic. Thanks so much for stopping by the CTG blog. We loved FALLING (you can read our review next week) and really look forward to HIDDEN coming out next year.